Item is a watercolour sketch of a costume design for Dalhousie Theatre's 1996 production of Love's Labour's Lost. 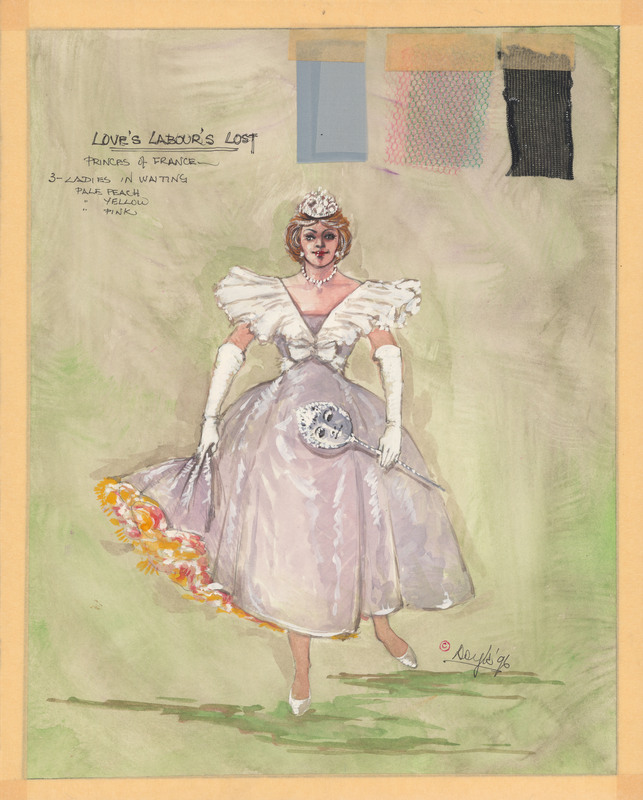 The costume is for the Princess of France and the sketch shows one figure wearing the costume. There are also notes about three ladies in waiting on the sketch. There are fabric swatches taped to the sketch. The sketch is covered by a sheet of clear plastic which is attached to the sketch on all four sides with masking tape.